This honey garlic shrimp stir fry is shrimp and broccoli tossed in a super easy sweet and savory sauce. A healthier dinner option that everyone will love! This shrimp and broccoli stir fry is perfect for those busy nights when you need a fresh dinner on the table in no time. This meal is done in just 20 minutes! 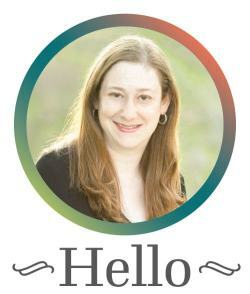 The funny thing about blogging is you just never know when a recipe is going to take off. Some of my earlier hits were chicken and broccoli stir fry and lemon asparagus pasta. Then it was honey garlic chicken stir fry which has become the all time most popular recipe on my site! Now I’m back with another stir fry, this time we’re got an amazing honey garlic shrimp stir fry. It’s loaded with shrimp and veggies all coated in an easy 4 ingredient sauce! 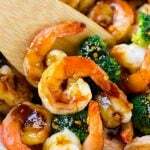 The ingredients for this shrimp and broccoli stir fry are quite simple. 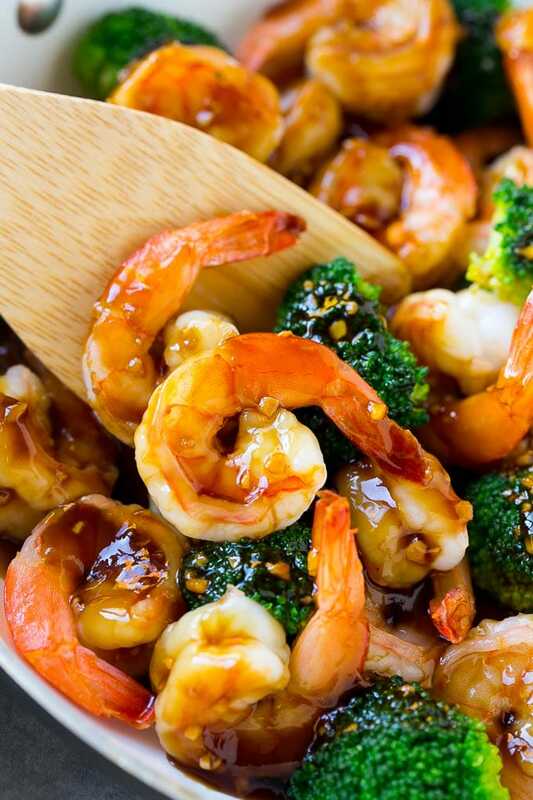 You’ve got your shrimp, your broccoli, a little oil, soy sauce, honey and cornstarch for thickening. That’s really all there is to it! 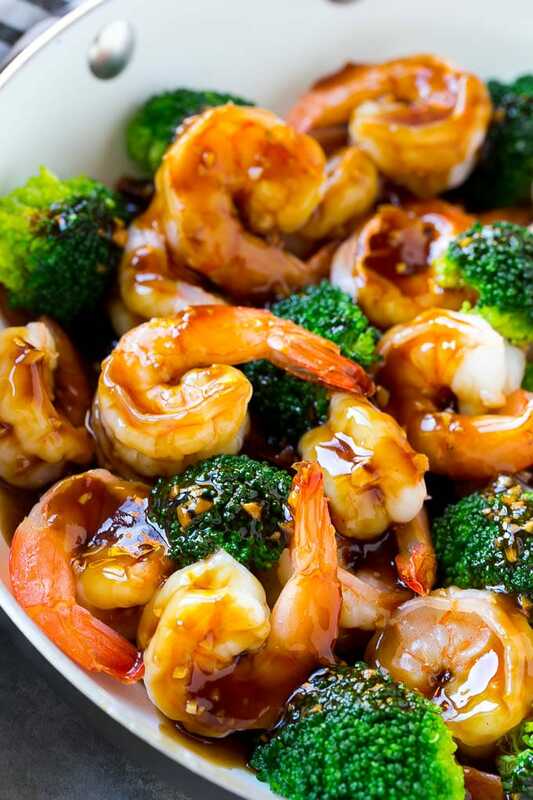 The shrimp and broccoli are cooked, then the sauce is poured over the top and simmered until it’s thick and shiny. Add a side of rice and dinner is served! The beauty of this recipe is that it’s super easy to customize to your liking. Not a broccoli fan? Try carrots, asparagus, mushrooms, snow peas, or a combination of vegetables. You can also do different flavor variations on the sauce by adding ingredients like minced ginger, sesame oil or even a little orange juice. I always get a lot of commentary every time I post a photo of shrimp with the tails still on. Here’s my take on the whole thing. Shrimp with the tails on are more attractive than shrimp with the tails off. That being said, it’s not always easy to eat shrimp with the tails on, especially in a stir fry. So it’s your choice as to whether the shrimp tails stay on or come off. I like to serve this dish over rice (brown or white). I’ve also served this shrimp over Asian style noodles like chow mein noodles or soba noodles with great success. This stir fry can also be served over quinoa or cauliflower rice. Basically you’re looking for some type of starch to absorb all that wonderful sauce! Heat 1 teaspoon of oil in a large pan over medium high heat. Add the broccoli and cook for 4-5 minutes or until tender. Remove the broccoli from the pan; place it on a plate and cover to keep warm. Add the remaining teaspoon of oil to the pan. Season the shrimp with salt and pepper to taste and add them to the pan. Cook for 3-4 minutes, stirring occasionally, until pink and opaque. Add the broccoli back into the pan. In a bowl whisk together the water, honey and soy sauce. 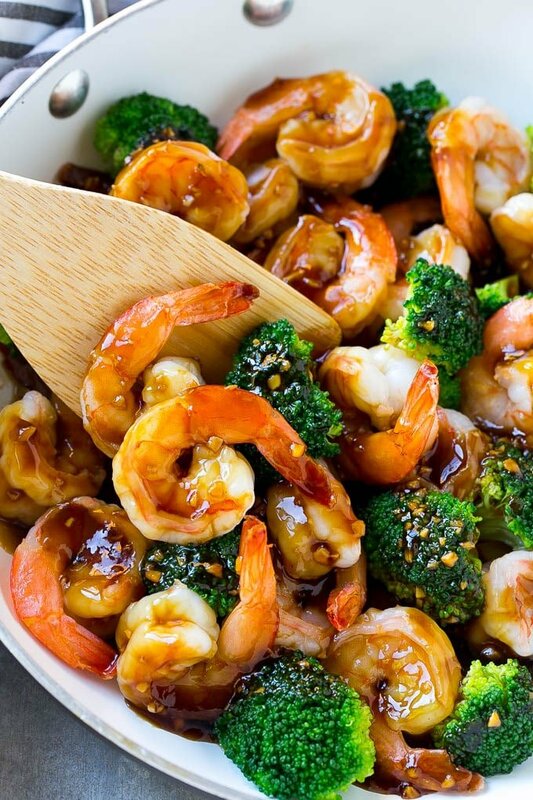 Pour the soy sauce mixture over the shrimp and vegetables; cook for 30 seconds. You can leave the shrimp tails on or off, your choice! Cut the broccoli florets into approximately 1 inch pieces so that they'll cook quickly. I mince the garlic as fine as possible using either a knife or a garlic press. I doubled the sauce recipe and added some ginger while the shrimp cooked. Used steamed broccoli to shorten some cooking time. Definitely a keeper! I would recommend just using a low sodium soy sauce!